If you have an active lifestyle, Xendurance Omega provides balanced fatty acids which are essential for normal brain function, cardiovascular health, joint movement, immune function, healthy skin and anti-inflammatory benefits. 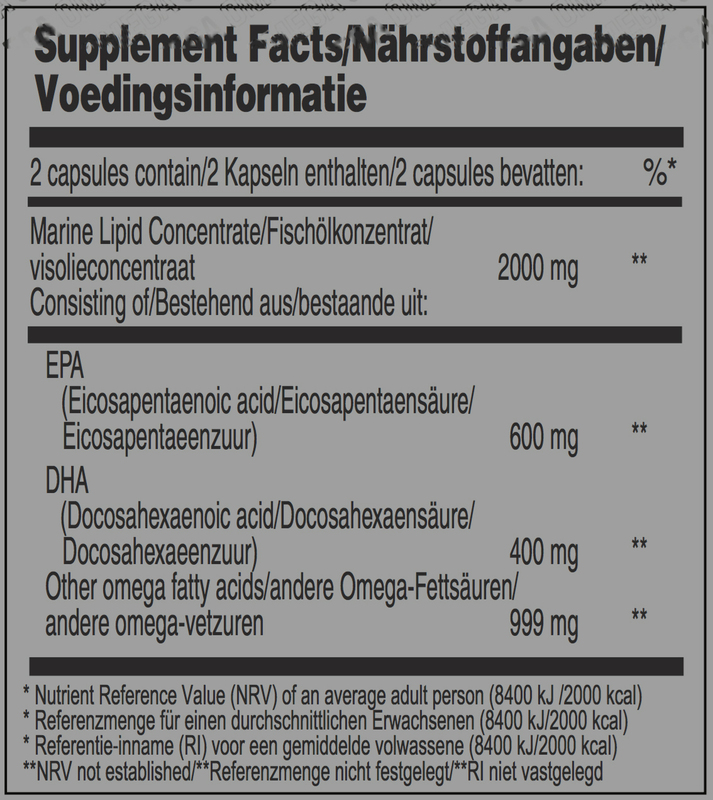 Xendurance Omega contains one of the highest dosages of EPA (600 mg) and DHA (400 mg) on the market today. Balanced fatty acids, particularly EPA and DHAs found in fish oil, are essential for normal brain function, cardiovascular health, joint movement, immune function, healthy skin and anti-inflammatory benefits. Omega-3 fatty acids are a form of polyunsaturated fats, one of four basic types of fat that the body derives from food. (Cholesterol, saturated fat and monounsaturated fat are the others.) All polyunsaturated fats, including the Omega-3s, are increasingly recognized as important to human health. Omega-3's must be obtained from food or supplements because the body cannot make them on its own. Omega-3's (and Omega-6s) are termed essential fatty acids (EFAs) because they are critical for good health. Although the body needs both Omega-3s and Omega-6s to thrive, most people consume far more 6s than 3s. Hardly a day goes by, however, without reports of another health benefit associated with omega-3s. The key Omega-3 fatty acids include eicosapentaenoic acid (EPA) and docosahexaenoic acid (DHA), both found primarily in oily cold-water fish such as tuna, salmon, and mackerel. Aside from fresh seaweed, a staple of many cultures, plant foods rarely contain EPA or DHA.